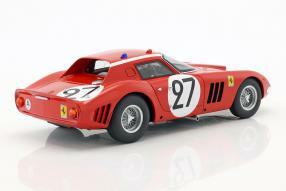 The bright and in the choice of its models highly creative label CMR builds up the series of its Ferrari-miniatures with a rarity concerning the topic motorsports: The North American Racing Team and Fernand Tavano finished with the Ferrari 250 GTO 64 and the start number 27 on the 9th place at the 24 hours of Le Mans 1964. 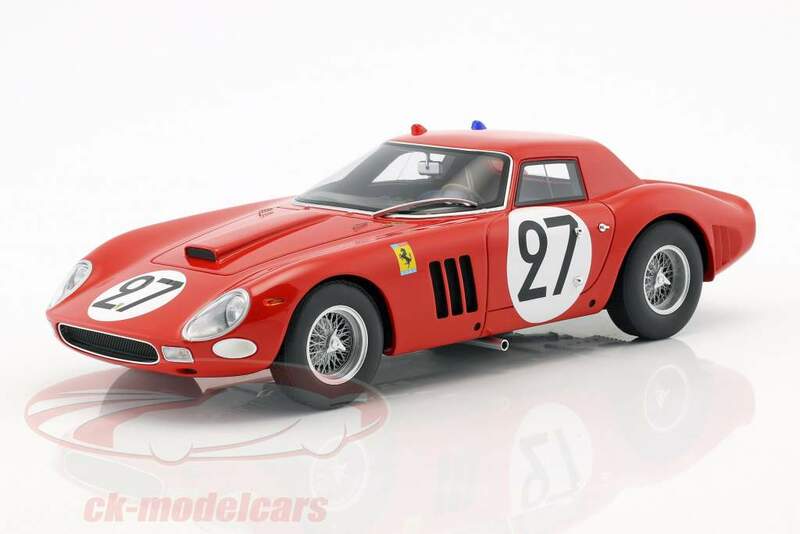 According to the V12, which produces 217 kW / 297 PS out of 3,0 liters capicity, CMR released beautiful modelcars in scale 1:18 under the item number CMR077. The driver Fernand Tavano from France and Bob Grossmann from the USA reached the finish line after 315 driven laps. As the overall winner of the 32nd run of the 24-hours-race in Le Mans - the 32nd Grand Prix d'Endurance les 24 Heures du Mans - the Ferrari 275P from Jean Guichet and Nino Vaccarelle reached the finish after 4.695,310 kilometers. 55 cars have started the race under cold and dry weather conditions, only 24 were counted. 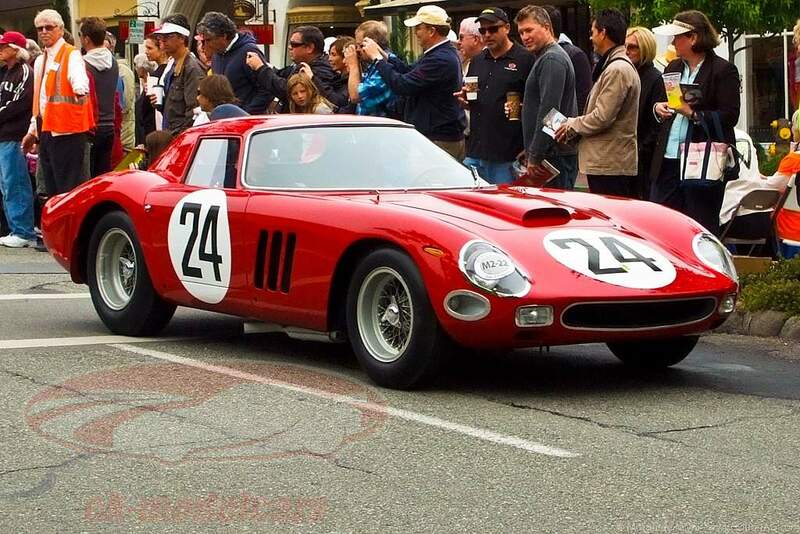 The North American Racing Team was founded in 1857 and took part on more than 200 races with Ferrari until 1982 and with over 100 racing drivers. 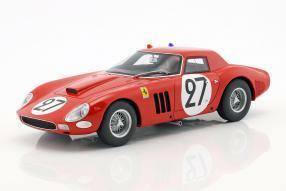 The now released miniatures, built out of high quality resine, are perfectly matching the role model of the 250 GTO Series II, which became a new roof for the season 1964 and thus almost reminds to a notchback: Only three of them had been built and therefore give a very special image for all Ferraristi. Also the front and rear had been revised, rims and tires have grown in width. A model also appears in the version of the Ecurie Nationale Belge with the start number 24 in the same finish, which achieved the 5th place (CMR78). Photographer Motohide Miwa from the USA is showing us a picture of it. From January 30 to Feburary 03 2019 it is time again: As the biggest and most significant event of the year for our business, the toy fair in Nuremberg is going to be opened. It brings together all international decision-makers who meet well-known brands and representatives of trendy start-ups. Buyers of large chains, independent retailers and many media representatives make the toy fair a unique event for retailers and industry representatives. CK is there for you, is looking for news in the area of modelcars from Autoart, Spark, Minichamps, Norev, Schuco & Co. and will bring brandnew pictures from the anniversary fair on the Blog as well as on other social media chanels. The toy fair in Nuremberg goes into its 70th edition!